prevention and strength building. For me, optimal function is key. Start smart. Stay smart. Do it for life. Shanel Riley is a certified STOTT PILATES™/® instructor and holds a BS in Sports Medicine and a secondary in Recreational Therapy and nutrition. She is also certified on the BOSU® and an APEX nutritional councilor. Shanel believes that living a healthy and fit life is essential and her goal is to help clients realize that dream. Vonie is a certified STOTT PILATES™/® instructor and has been teaching a wide variety of group exercise formats for 21 years. Vonie is a graduated from Portland State University with a BS in Physical Activity & Exercise, as well as a BS in Community Health. Vonie believes that Pilates challenges the body’s functional capacity for greater strength and flexibility which sets a solid foundation for quality of movement in everyday living. 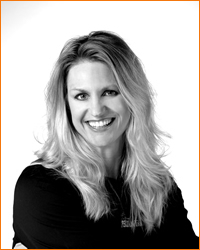 Vonie enjoys sharing with her clients and students her passion for health and fitness. In her spare time, Vonie runs and enjoys riding her horse Royal. 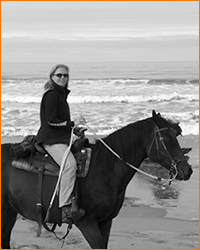 Jill has been working as a licensed physical therapist for the last 10+ years. She is a certified STOTT PILATES™/® Instructor in both mat and reformer. Her exercise background includes gymnastics, kickboxing, yoga, and aerobics. Jill enjoys teaching clients how the pilates principles can be carried over to their daily activities. Laura's lifelong interest in movement led her to take ballet classes for several years. She started doing Pilates in 2009 after hearing great things about it. She loves how Pilates helps her gain increased strength and flexibility, as well as helping her to develop a strong mind body connection. 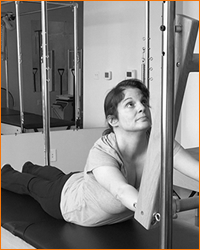 Experiencing the benefits of Pilates is especially meaningful to Laura because she has cerebral palsy, specifically right side hemiplegic CP, which makes the right side of her body weaker than her left side. Having this positive empowering experience doing Pilates inspired Laura to become an instructor. Laura is now a Certified Pilates and has achieved comprehensive certification through Peak Pilates working with Master Instructor Jessica Schultz at Jessica Schultz Pilates in Portland Oregon. Laura is certified to teach both mat and all equipment Pilates. She is passionate about Pilates and welcomes working with clients at all levels of abilities from professional dancers and athletes to people who have physical disabilities and are doing Pilates for the first time. Laura is especially interested in working with clients with physical disabilities and conditions that affect their movement. 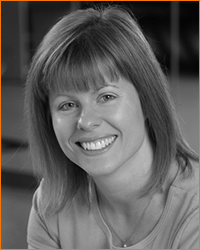 She is patient, knowledgeable and experienced at modifying Pilates exercises to meet the needs of clients. She works to inspire clients to focus on what they can do, not what they can't do and to see that they are capable of so much more than they realize. Laura lives in Southwest Washington and outside of the studio, Laura enjoys spending time with her friends and family, as well as playing with her 11 year old sheltie. She also loves to travel, especially to Hawaii where she is inspired by the beauty and peacefulness of the islands. Read more about Laura's approach to Pilates in this Oregonian article. Copyright ©2018 Pilates Plus. All rights reserved. Website by ruby slipper designs.